� Collecting the DC COMICS - THE NEW 52 series! � Introducing the electrifying new villain BRAINSTORM, who is determined to bring Los Angeles to its knees - beginning with MICHAEL HOLT! 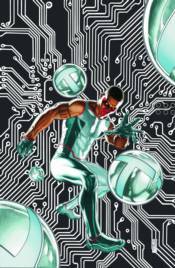 � Collects the new MISTER TERRIFIC #1-8 - the entire NEW 52 series!